My kids and I are with my family in Seattle for the holidays and we’re busy preparing everything for Christmas (my boys insisted that my parents wait for them to decorate the Christmas tree)! 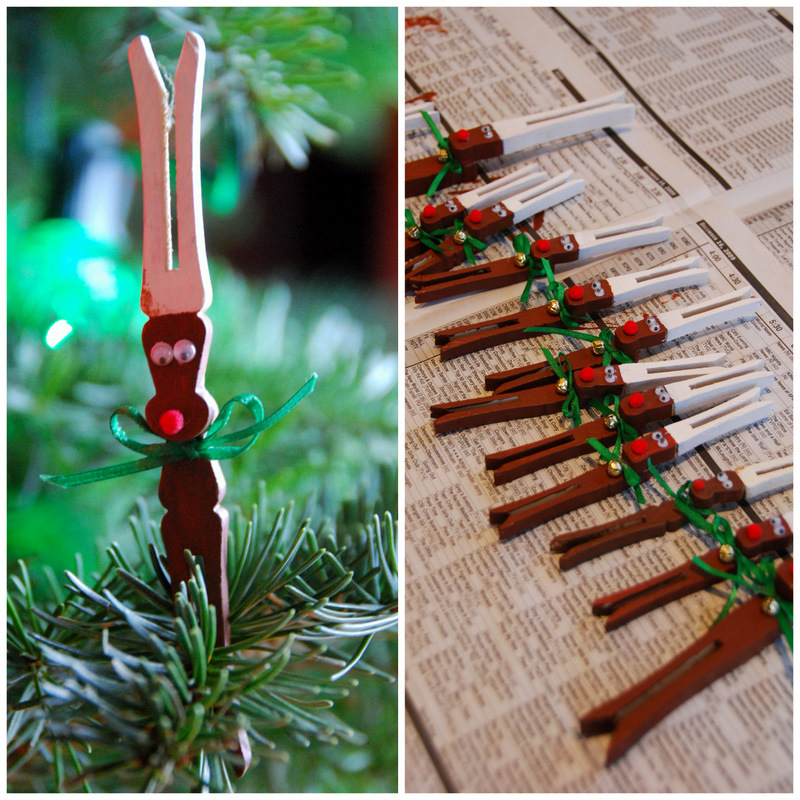 While going through all the old ornaments, we discovered these darling clothespin reindeer ornaments that my siblings and I made when we were little. I think they’re so cute — both on the tree (you just clip them onto a tree branch), and also as a present-topper to add a little bit of festive cheer to gifts. Paint the bottom clothespin brown (for the body) and paint the top clothespin half brown for the face and half white for the antlers (see photo). 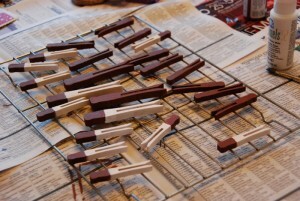 Glue the clothespins together as shown in photo above. Glue the googly eyes and red pom-pom onto the reindeer’s face. Loop a green ribbon into a little bell and tie a bow. Glue the bow to the clothespin, just below the reindeer’s chin. Stick onto your Christmas tree! Hi Courtney, welcome back to Seattle. I’m sorry you missed last week when it was freezing and sunny- it was lovely. i wish the temp would drop again! I was just in the U-Village today! (I took my kids to see Santa!) I’ll definitely go check out the MooG clips! Hope you have a cozy Christmas! Looks like no snow this year…. I know what you mean re: Michaels- I had a ball at that place when I was in the US– endless hours of crafty projects for both you and the kids at that place! And love the reindeer- had forgotten about them, but I did that when little as well. I wish we had something like Michael’s in Europe. I don’t think I can get those clothpins here! The reindeer look so cute! We will try to make them! Lovely idea!